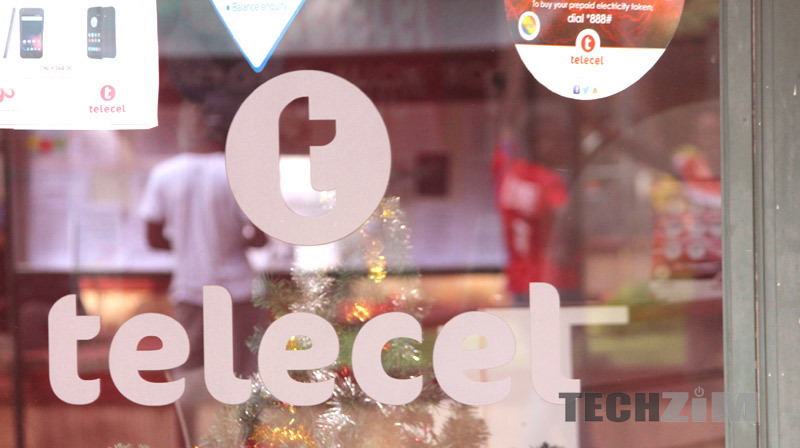 Telecel hasn’t launched anything in a while. In a very long while. They have been quiet in their corner while other companies released new stuff (in the case of NetOne) or complained about not being allowed to release new stuff (in Econet’s case). So you can imagine our surprise and pleasure today when we received an email from Telecel today announcing the launch of new data bundles called MegaBoost. Pleasure because we think this is a really good deal for a lot of data users in Zimbabwe. Essentially MegaBoost bundles are about providing affordable access to WhatsApp and the rest of the internet. Telecel are being particular here that in Zimbabwe, there’s WhatsApp and there’s everything else. And so MegaBoost has emphasis on making WhatsApp available. At least I think $5 for unlimited WhatsApp is a good deal. If you’re wondering how they compare to NetOne’s OneFusion and Econet WhatsApp bundles, read this article on the revised OneFusion bundles ($5 is 700MB of WhatsApp) and this broad comparison of WhatsApp and Facebook bundles in Zimbabwe. To be clear though, comparison really is a case of apples and oranges. Ultimately, what’s important is how much Facebook and Twitter matter to you individually. If they do matter a lot, then Telecel’s MegaBoost bundles are not for you. However if communicating and sharing on WhatsApp feels adequate, that $5 bundle is quite attractive. BTW I think only the $5 and $10 MegaBoost bundles are worth looking at. Below that I’d feel robbed. Telecel’s WhatsApp bet might pay off. In fact I’m confident it will, but I may be misreading people’s preferences in apps, so we’ll see. That said, I’m assuming POTRAZ relaxed the freeze on data promos by MNOs, otherwise how would Telecel launch this. And how would Econet launch yesterday’s promo. That wont be sustainable, $5 is not much considering they will have to pay termination fees and data? But who cares, I am resuscitating my Telecel sim card! kkkkkkk -> resuscitating my Telecel sim card! WoW!! Telecel is surely coming strong here. This is a deal worth trying esp on the $5 & $10, there hasnt been much competition for the One fusion in a while. Congrats Telecel, i’m surely going to give this a try. Wow Econet is the one left behind now. This is similar to Netone’s OneFusion! And again my question is how stable is Telecel data?. My motivation for use will always be speeds and secondly pricing. POTRAZ should ban the word unlimited because it doesn’t exist in Telecoms. I would want to know the limit on the unlimited and the data speeds. Otherwise a poor piece of journalism based on little research excited over a statement. We deserve better TechZim. Great come back from Telecel, comms dzenyu now need to make noise about this one. I guess this year will surely be interesting times. Besides Netone I dont think Econet can respond with something this cut throat. Wow great thing just checknon the $10 bundle ther is 1gig for surfin the net mmmm nice open for the whole month damn tts good #tellsomeone? Can you make Whatsapp calls with the whatsapp bundle? Great stuff Telecel. Competition is healthy, gives us options.